In case you haven't noticed I wear a lot of Jewelmint jewelry. Their pieces are unique, affordable and super cute! Wearing: Minkpink blouse, Topshop jeans, YSL tribute sandals, Jewelmint necklace. 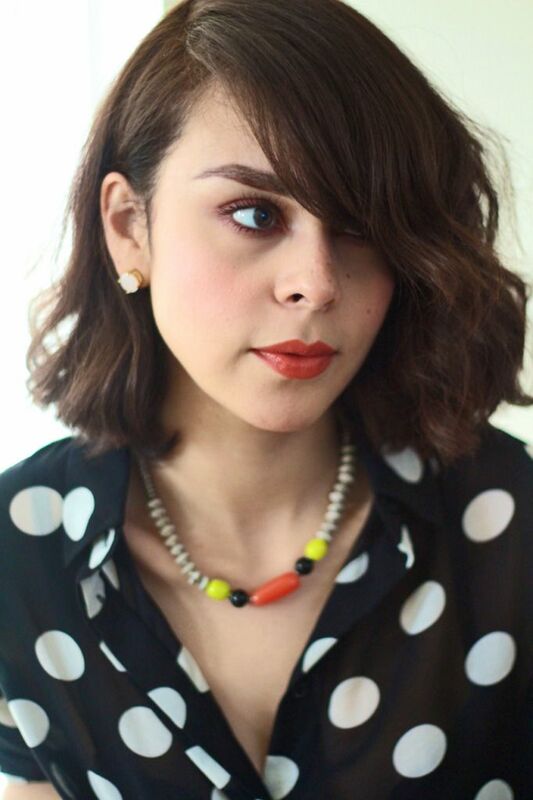 In this post I am wearing a Jewelmint necklace. Kinda remind me of Mike and Ike jelly beans. Yummy necklace huh? New members will receive 20% off their first purchase at Jewelmint! Love your shoes and blouse! I love jewelmint stuff - I haven't bought anything yet...but have been meaning to for ages. Love your blouse, super cute! I've been considering creating an account with Jewelmint for a long time now, and it's posts like this that push me closer to doing it! And I agree, at first glance your necklace does look like Mike and Ike's- so fun!! Love that necklace. It looks great against your polka dot top. I absolutely love black and white polka dots!! And you look great. I'm assuming it's not you on that blog, so just thought you should know. This is such a cute look!! I love the shoes too! I havent tried Jewelmint yet but I think I will. All of your pieces are lovely and inspiring. I'm excited to know that I can get all of your pieces at a affordable price.